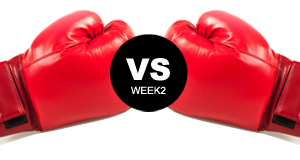 the restaurant with the most votes will become the Battle of the Blades Champion! 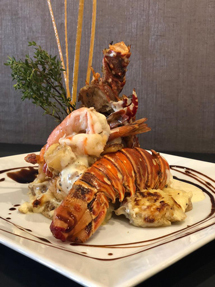 Seafood Trio - Grilled lobster, shrimp, seared scallops, Mornay sauce. 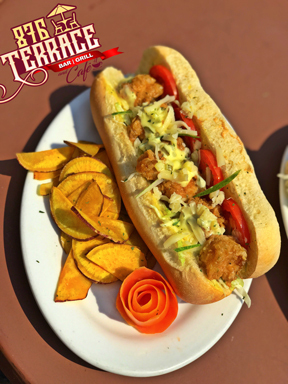 SHRIMP PO BOY SUB - 6 pieces of delicious Rainforest Seafood's Jumbo Shrimps deep fried, drizzled with tartar sauce and stuffed in our homemade herb-sub breads alongside our amazing in house slaw and a side of sweet potato chips ! !